This lens features a 109.5° Ultra Wide Angle, nano coating system & a smooth focus ring, all in a compact & lightweight package. Add professionalism to your creativity with Samyang extra-wide-angle lens. 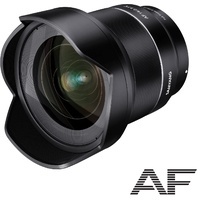 This is an extra-wide-angle manual focus lens designed for APS-C crop sensor cameras. With low distortion and wide angle (109.5°), photographers who want wide-angle photos such as landscape and architectural images can create amazing images. F2.8 is very bright even in relatively dark environments, clear and vivid images can be captured. Optical construction of Samyang 10mm F2.8 ED AS NCS CS features 14 lenses in 10 groups – among lenses, there are 2 glass aspherical lenses(AS) and 1 low-dispersion glass(ED). It realised the minimum focal length of 0.24m. Also, for the first time in Samyang Optics history, the independent NCS (Nano Coating System) was used. It creates even lower reflection rate than the original UMC (Ultra Multi Coating) and higher contrast. Also, the light penetration rate is very high to minimise flare and ghost. There are 6 aperture blades designed to be almost as a full circle when aperture is closed which expresses starlike ray clearly and beautifully in deep depth of field image. 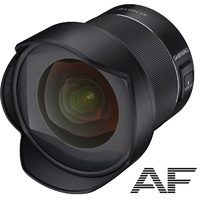 The frame of Samyang 10mm F2.8 ED AS NCS CS is compact and solid since it is made of high-strength aluminium alloy. Trustworthy images can be captured even under inferior environment. A petal-shaped lens hood to shelter lens from unnecessary light is provided.